Chessdom: How are preparation for Corus 2008 ongoing? expectations for this special and unique tournament are quite promising. surprises on the list of invited players? not time yet to publish the names now. tournament organizations involved have worked together very pleasantly. even more important, how to coordinate the calendar? with every month a super tournament or match somehere around the world. encourage fighting chess. We are already working on something. Jeroen van den Berg: Having 6 players in stead of 4 was a special wish of the Bilbao organizers. World Champion could start with the letter A…. 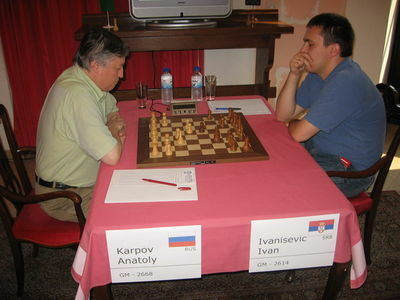 Chessdom: Hello Ivan, once again congratulations for the fantastic performance in the Greek Open Championship. Both you and Kotronias are superb tacticians, what was your plan for the last round? Ivan Ivanisevic: Thank you! I had no particular plan in mind, just wanted to avoid hot theoretical discussions. But I was ready for the fight. Chessdom: Your talent shined early at the Serbian pioneer championships in the beginning of 90′s. What has got you attracted to chess, how did you start playing? Ivan Ivanisevic: It’s interesting that in that period everyone talked how big talent I was, yet I won pioneer championship only once! Chess was always present in my family, my father and grandfather played it, and I joined spontaneously. As I was starting, new possibilities came up. I have joined chess school at the City Center for Physical Culture and learned from the brilliant coach and pedagogic Petar Smederevac. I can’t really say anything particular attracted me, I just never had any dilemma that I should be playing chess! Chessdom: You are an active player for more than a decade. Do you see any changes in Serbian chess over this period? Ivan Ivanisevic: Exactly, I started as professional sometime around 1996. I see enormous changes everywhere, and so in Serbia. First, only few people used chess software back then, while today anyone can reach certain level much easier and faster than before! All information is available to everyone. As for Serbian chess, my generation and myself were strongly encouraged when Igor Miladinovic won the World U20 Championship (1993 – ed. note). That kind of success is creating healthy competition and we are stimulated to reach forward. Later we had period of political crisis and sanctions which was slowing our progress. But now, few years later, a new generation emerged, players born 1983 and 1984 (GMs Nikola Sedlak, Robert Markus, Milos Perunovic, Dusan Popovic – ed. note) are fantastic in my opinion! Chessdom: So can we reach the old glory from times of Gligoric and Ljubojevic? Ivan Ivanisevic: I think we have that potential, but the organization has to be much better. Nowadays, everyone has to fight on his own and we lose precious time. But I am optimist and I believe things will go better. 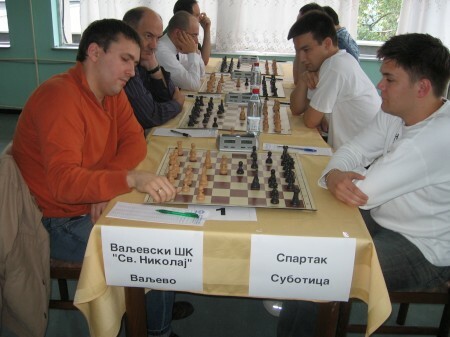 Chessdom: We have seen your fantastic theoretical preparation in Valjevo, particularly in the game against Dusko Pavasovic. How many hours daily you devote to chess study? Do you work with a trainer or on your own? Which software is necessary for the top preparation? Ivan Ivanisevic: I don’t think I’m that well prepared, it can always be better. I work on chess every day, there is no fixed schedule, but average is 4-5 hours. I work alone and I think one should have as many software packages as possible (at least that suits me). Chessdom: You are chess professional. Are there enough invitations for the tournaments or team events? What kind of difficulties are chess professionals facing today? Ivan Ivanisevic: Invitations for tournament abroad are very rare, mostly we play team events. It is good that we can play different national leagues without limitations! We have had some fantastic tournaments in Serbia during the last two years, in Vrsac and Valjevo, I hope they will become traditional. This is also one of the ways to restore our old glory! There are many difficulties though, for example professional players enjoy no protection, unlike the people who organize clubs…. But one fantastic thing is that I don’t have daily office work 7-15! Chessdom: Can you give any advice to the young players who are just getting familiar with chess? Ivan Ivanisevic: I can, it is very important to approach the game with love and passion, and like in anything else, the results will come. Certainly, chess is not easy, but it can bring you huge pleasure. Chessdom: Ivan, thank you for your time. We wish you to continue with fantastic results. Ivan Ivanisevic: Thank you for the interview and kind wishes! Chessdom: Hello Mike! Next year is the 100th anniversary. How will you celebrate it? Michael Sekuloff: Were not sure a this time , But we may just tie it in with the 3rd Edmonton International Tournament. With a few extra events for the youth, and the adults. We have a lot history behind The Edmonton Chess club and the Alberta Chess Association. Unfortunately, we are missing some of the history from 1908 to about the late 1930′s, and history is kind of scant from the 1940′s to the 1950′s But our Trophies and records of games tell us something about the organization of chess in Alberta in the 20 th century. Some one in our chess communities has more history that we could compile, but we don’t know who they are. Hopefully our new web site will draw some attention to anyone who may have some kind of records. Chessdom: Do you feel chess in Alberta is growing these days? Michael Sekuloff:The promotion of Chess can be difficult, but the ACA has done well over the years. The youth chess population is bursting at the seams. It’s hard to find people who can teach chess for only a few hours during the day. The Math N’ Chess organization can take most of the credit for the strong youth chess scene. Numbers in the Adult population has not dwindled at all, I think it has grown, but daily life does not always let the adults partake in events they general would partake in. There are many of my old chess buddies that don’t play ever often, but try to get out to an event once a year. Once all of the children grow up, the those old chess nuts will start coming back the clubs. That generation of chess players stems from the 1973 to th3 1980 era when Bobby Fisher was around, and beyond. As they get closer to retirement, not only will they come back to the clubs,[as the group of older players did when I was playing at the club years ago] but their offspring mite come as well. Chess is growing in Alberta, as Grand Master Melik Khachiyan said in our Video of the Edmonton International. Chessdom: Soon we have the Battle of Alberta chess tournament. Tell us more about it. Michael Sekuloff: The Battle of Alberta is three fold. There is the that football rivalry: Edmonton Eskimos Vs the Calgary Stampeders, Hockey rivalry: The Edmonton Oilers Vs Calgary Flames and now CHESS! In 1996 the Chess Battle was born. North Vs South. The event this year will take place at the Red Deer Hotel in Red Deer, August 18, 2007, and I will be there to film some of it. Results will be posted on our website. The south looks very strong this year, but the North has FM Blagoj Gicev on there side bound to score 2 points. We will see I guess very soon. Chessdom: Where will people be able to see the games? Michael Sekuloff: All ACA games are posted on the site as soon at the TD’s have time to input them. Pas games can be downloaded from the site in zip format. Some games can be viewed on-line. With the re-vamping of the site, all of the games are not yet in one database. Chessdom: The WCC in Mexico is coming soon. What are your predictions? Michael Sekuloff: Alexander Morozevich I think is a good bet! I think he wants it! He is going for it! Chessdom: Hello Ivan! How are you? Ivan Cheparinov: Fine, thank you! I am currently in Spain. Chessdom: A few days ago you participated in Villarrobledo Chess Festival. Tell us more about the tournament there. Ivan Cheparinov: Villarrobledo was a strong and at the same time interesting tournament, but there was no pressure. I am sorry that I could not win, but that is how rapid chess goes – you must have some luck. I had chances for first, but I lost in the last round. Chessdom: At the moment a new challenge awaits you. Soon you are traveling to Holland. Ivan Cheparinov: Yes, that’s right, in Holland I will participate in NH Chess Tournament – Rising Stars vs Experience. The tournament is a qualification for Monaco rapid and blindfold. The best player from the Rising Stars will participate in the 2008 edition of Monaco. Chessdom: Who do you think will be your strongest opponent? Ivan Cheparinov: The experienced players have higher average ELO. However, the real battle is between the Rising Stars for the place in Monaco. In that sense probably the strongest opponent will be Karjakin. It will be tough, but I hope I will win. Chessdom: How do you prepare for NH Chess Tournament? 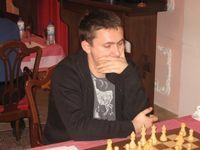 Ivan Cheparinov: At the moment I am practicing with Veselin Topalov. In Holland with me as a coach will be Silvio Danailov. Chessdom: What software do you use during the practice sessions? Ivan Cheparinov: It is not a specific one, it is a combination of programs. But of course, the most important is Rybka. There are two reasons: first, it is the strongest program and World Champion, and second, it is the one that gets closest to human style. Chessdom: Thank you and good luck in Holland! Ivan Cheparinov: Thank you, good night. Hello Alex! The World Chess Championship in Mexico 2007 starts in a month. Who do you think has the highest chances to win Mexico 2007? My favorite is Anand. 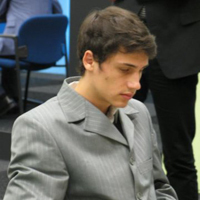 Among the others only Kramnik has a comparable strength, but he hasn’t sufficient stamina to win such an event. So I say Anand 60%, Kramnik 35%, others 5%. You have been following chess closely these years. Do you expect surprises at the WCC? I’m not expecting big surprises. Someone will do a little better, someone a little (or even a lot) worse than expected, but hardly winner’s first name won’t start by “V”. 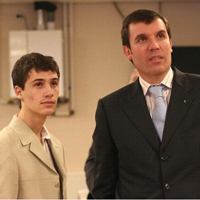 Will the World Chess Championship miss any player (Carlsen, Topalov, Mamedyarov, Ivanchuk)? There is a new WCC cycle that was agreed in Tallinn this year. What do you think about it? I think that the best system is the one in use until mid 90′s. It is a pity that Kasparov & Campomanes & Ilyumzhinov did not do a great job. I don’t like the new system: from the continental championships qualify too many players, so the World Cup has too short matches. A reasonable length for a match should be at least 8 or 10 games, not 2. And 2008-2009 matches include only 2 or 3 players. What a static situation for a 2-year period: It doesn’t fit with the 2-games KO’s of WCC! Talking about chances and the WCC, will you organize the toto game for Mexico 2007? Of course! It’s already into our database, just looking forward to the drawing of lots! A month before the start of the World Chess Championship in Mexico, we talked to our good friend Vijay Kumar, Fmr Chief Producer DD News and Sports, India. Here is what he shared with us. 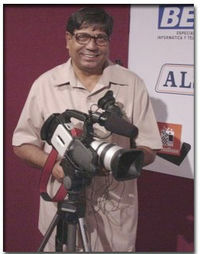 Q: Hello Vijay! The World Chess Championship in Mexico 2007 starts in a month. What are your expectations for this year’s edition? A: As always, the World Championship will have maximum interest amongst followers of the game. It promises to be exciting as ever but contrary to last time when Topalov was in full swing int he first half, this time it will be more of a slow-and-steady-wins-the-race kind of WC. Q: Who do you think has the highest chances to win Mexico 2007? A: I would rate Kramnik and Anand as cut above the rest but the presence of Aronian might make it more exciting. Moro and Grischuk are the kind who will have some excellent days and everyone will have to beware of them. Peter Svidler has his own style that is also typically suited for this year’s field. Q: You have been able to meet recently most of the players. Who do you think can bring the surprise? A: Morozevich can be a very dangerous opponent when in full swing. Aronian should be the one from whom we can expect more than a few surprises. Q: Will the World Chess Championship miss any player (Carlsen, Topalov, Mamedyarov, Ivanchuk)? A: Well, the players cannot be bigger than the game. Topalov is a part of the cycle in some way. The rest wil be there most in next cycle. Q: There is a new WCC cycle that was agreed in Tallinn this year. What do you think about it? A: I think finally FIDE is doing what is possibly an aceptable format. Even though Kramnik has some extended benefits not many have much against them in his present form. Its ok I think, in a couple of years the dust might settle down and we will all have what we want in a World championship. Q: What coverage can we expect on the website Live Tele Shows? A: The World championship is a big event and as in the past Live tele shows will have daily reports of the games, exclusive interviews and photos from Mexico City.